hello again! studio calico november kit - walden is now available! 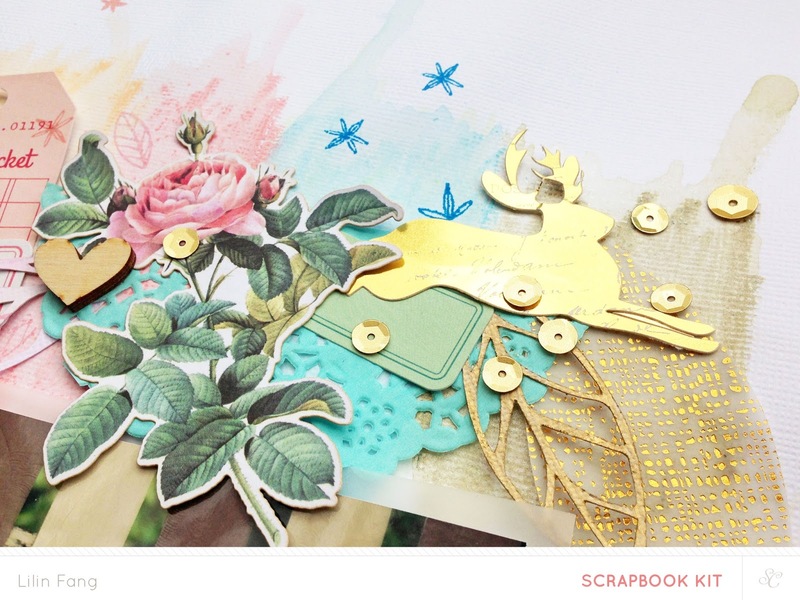 love the woody and fall colours in this month's scrapbook kit. the add ons are amazing as well! my favourite kit has to be concord (add on 1)! its packed to the brim with lots and lots of goodies! 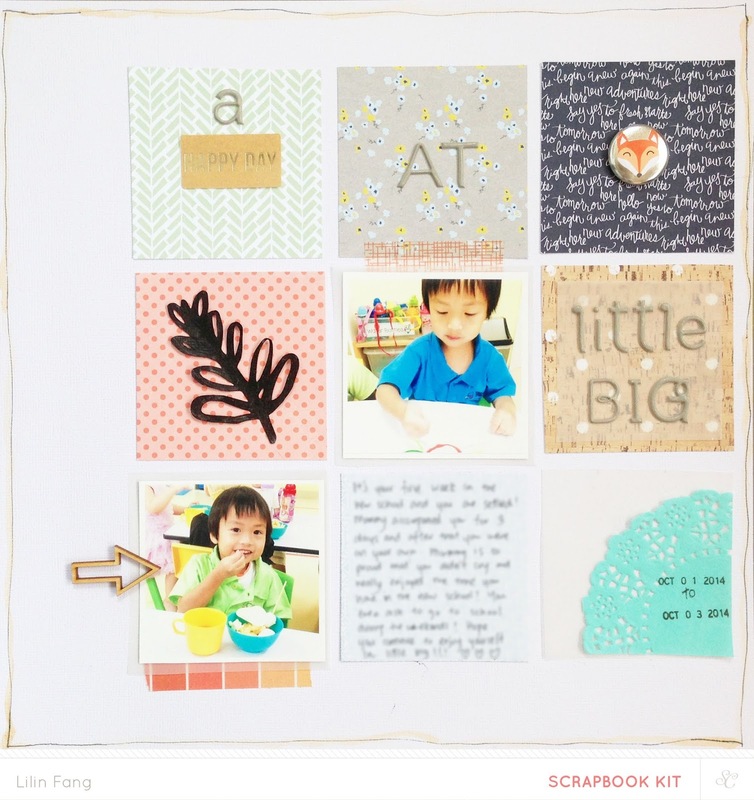 celine will be using this kit for her upcoming mini book workshop, so if you are taking the class, another reason why you wouldn't want to miss out on this add on! this month, we also have a christmas theme add on - pine hill (add on 2)! love the mix of pretty christmas papers and the lovely washi - i am planning to use this one for my christmas wrapping! and lastly, baker bridge (add on 3) that is full of exclusive items! now let's take a look at what i made this month! for the floral wreath above my photo, i first created a border using the washi tape. i used the walden scrapbook digital stamp to create some die cut flowers and leaves with my silhouette cameo. then i painted the die cuts in coordinating colors to match the washi tape and added the deer and badge as embellishments. i love the brush script hello designed by wilna so i made it into a cut file, paint it with black acrylic paint and used it as my part of my title. and to complete the layout, i added some ink splatters with gold mist and a big round brush. i usually create the ink splatters with the tip of the bottle nozzle but this time with the big round brush, i could see the shimmer of the mist and it's beautiful!!! i wanted to use all the pretty papers in the kit so i thought a grid design would be best! i used one of the squares for journaling, 2 for photos and the rest, i decorated with embellishments and die cuts. a quick and simple layout to put together. something new i tried with this layout was using a small brush to draw a border to frame the layout. i used gold mist here and used my precision pen to define the border. love how it turned out so i think i will use this technique again! 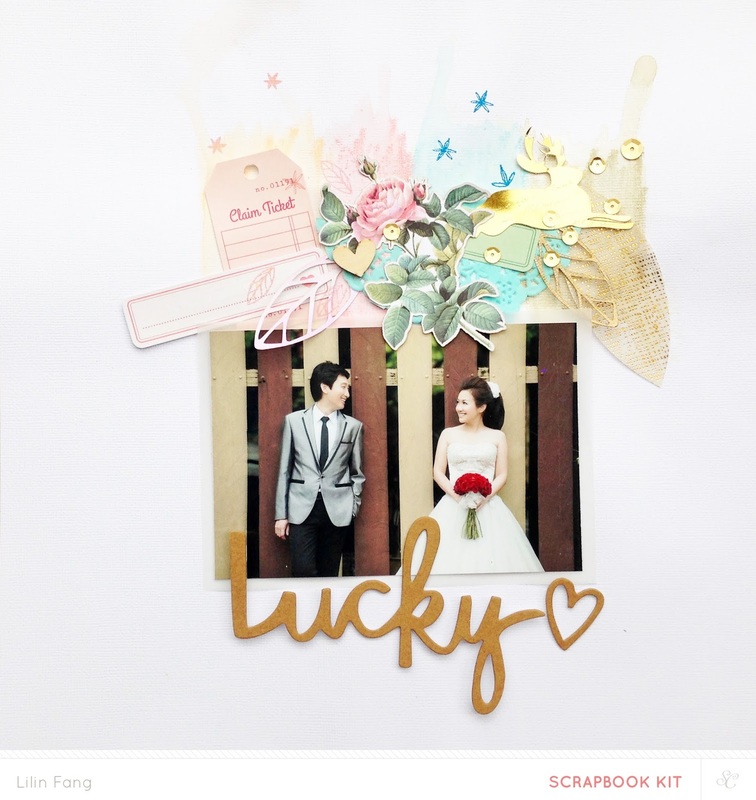 this layout is a gift for my dear friend's wedding! 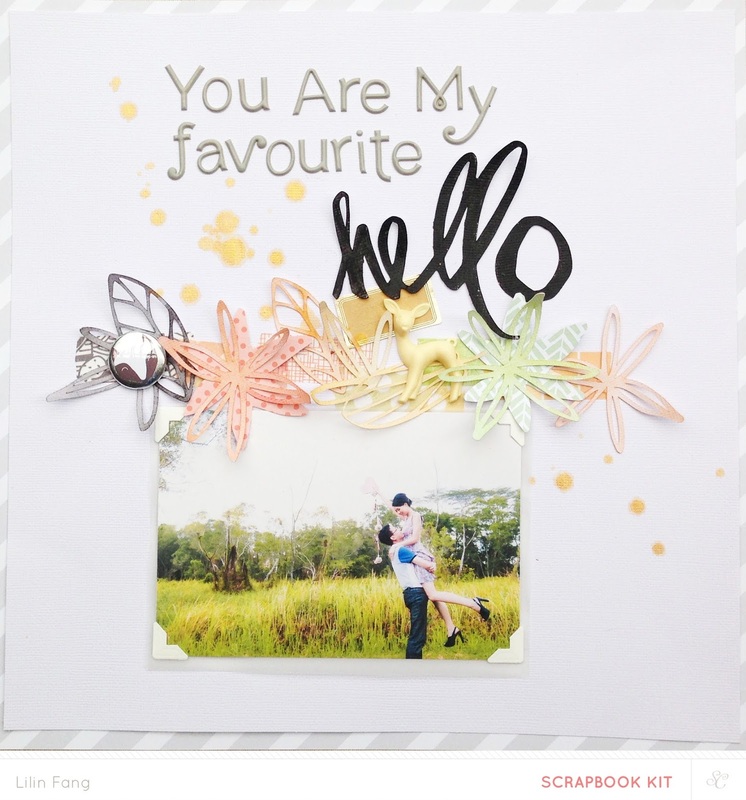 i used gelatos to create a rainbow and layer lots of pretty embellishments over it to create a border above the photo. for added interest, i added some stamp leaves and flowers in coordinating colors. i used color theory ink pads - coral bay, blush crush and something blue. i will be posting a tutorial for this layout soon so keep a lookout for it! 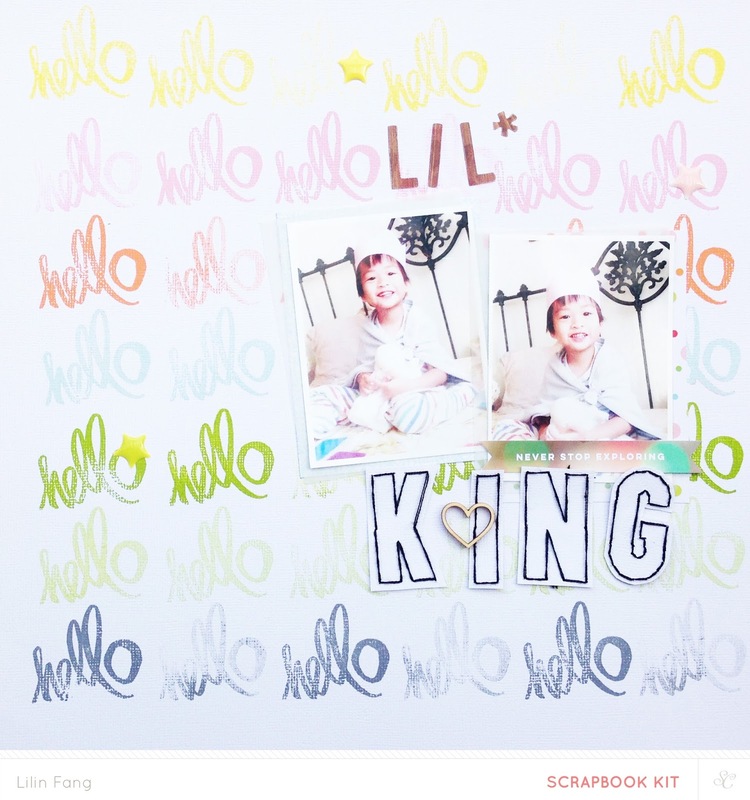 this hello stamp designed by wilna is my favourite this month! 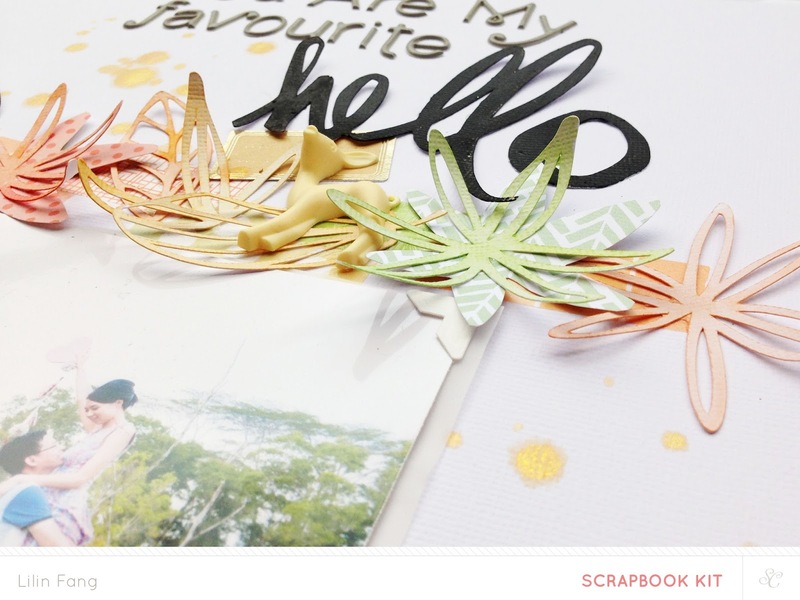 i stamp the hello in different yummy colours to create a background paper. i used color theory ink pads - sunny day, blush crush, orange country, glass slipper, going green, lime light and clean state. 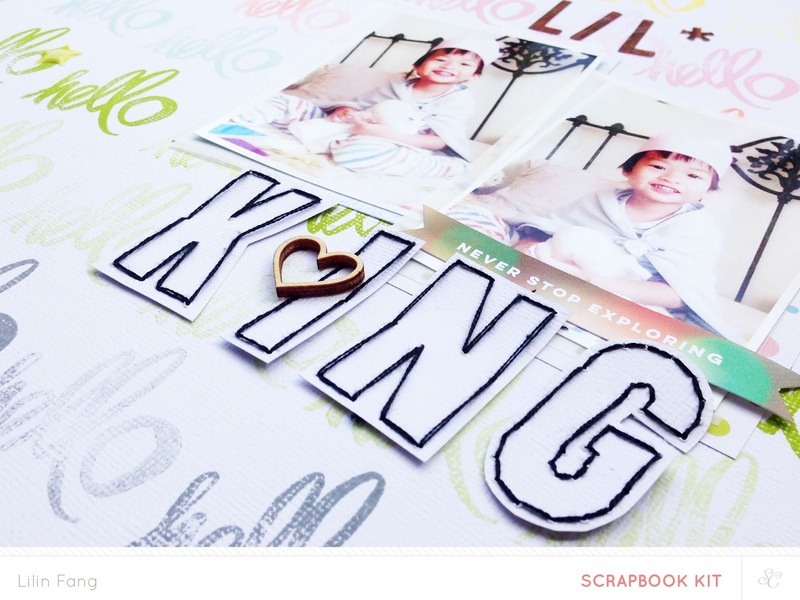 after deciding on the placement of my photo, i added the title - 'lil' using the woodgrain transparent alpha from baker bridge and stitched 'king' on another piece of card stock using the amy tangerine embroidery set. then i fussy cut each alphabet and adhere it to the layout to add more dimension. that's all i have! i hope you enjoyed the layouts i made for this reveal! 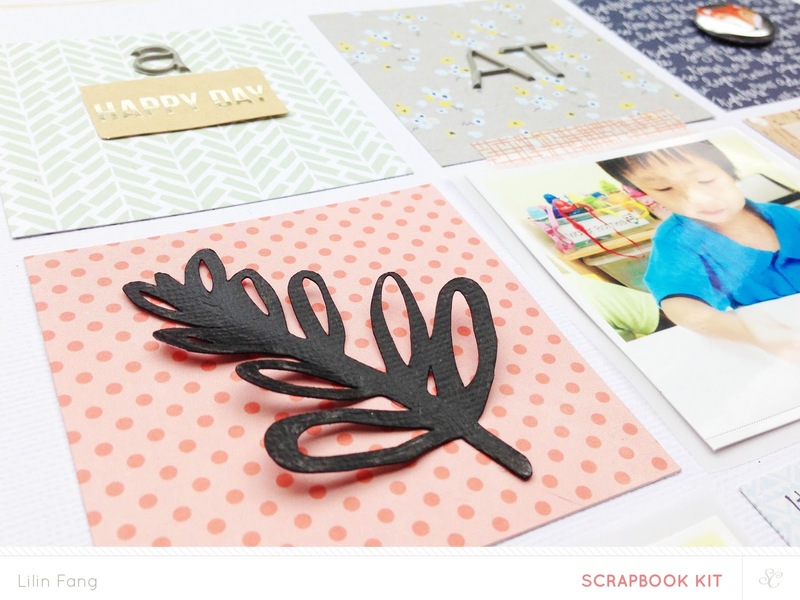 if you are interested in finding out more about studio calico's scrapbook kit, click here. happy shopping and thank you so much for dropping by!